In stock and ready t0 ship! 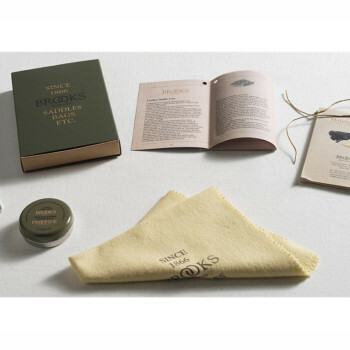 Each Brooks Saddle comes with a care leaflet. Maintaining your saddle, as described therein, will ensure that it becomes the most comfortable and durable saddle you could ever wish for. 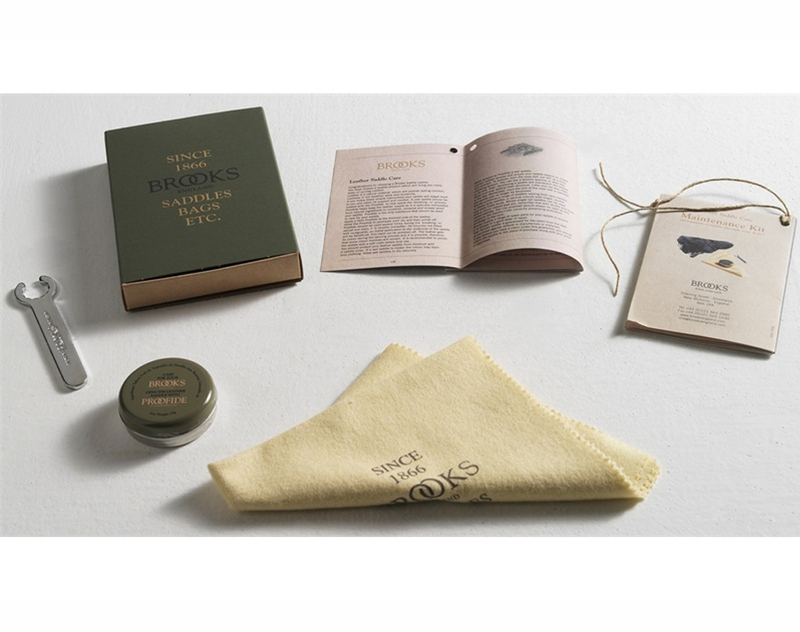 The maintenance kit includes all you need to take care of your Brooks Saddle: a 25gr can of Proofide leather dressing, a cotton cloth to polish the saddle and a Brooks Spanner. Please note that the standard spanner works on most models with the exception of the Swallow Titanium, which has its specific spanner, and the Swift Titanium, which can be tensioned with an Allen key.